How do you protect against flooding in your home? This is an important question during every season. Whether it’s summer and autumn rainfall, winter storms and snow buildup, or the spring thaw, your home is always being attacked by the elements. This is why it is important to get proactive about your home. But where do you begin? And if there is a problem, how do home water damage restoration companies help you? Here are some useful flood prevention tips to prevent flooding in your home, and how you can get help in case of an emergency. Here are some important things you can do to get proactive and protect your home from the risk of flooding. It is always better to be prepared, rather than dealing with the cleanup after the flood has caught you off-guard. From investing in flood sensors to preparing an emergency flood kit, here are some tips you should consider. Sensors that detect floods are a proactive approach to limiting such an accident. They are typically placed in different areas around your home, and will let you know when water is detected in a certain area that should be dry. The sensor will help you respond quickly to a flood, and notify you of other events that could lead to serious water damage. In the event of a flood, you should make sure that you disconnect all of your electrical appliances, and cut off the power entirely, if possible. Since water is a very good electrical conductor, a plugged-in appliance can lead to severe injuries to you and your family. You should always make sure that your valuables and important documents are stored higher up in your home. Items such as family photos and videos, yearbooks, birth certificates, and tax records, should be stored in a secure place away from the ground and preferably in a plastic container. 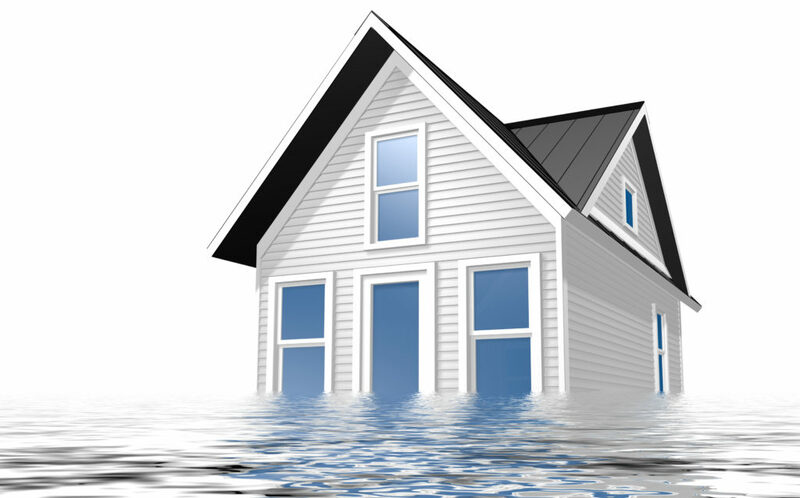 Insurance is useful for all homeowners, even if you do not live in a flood zone. You can buy insurance anytime, and it keeps you covered if there is an accident. Even if you do not live in a flood zone, issues within your home and around your home can still pose the risk of flooding. There’s never any harm in being precautious. To prevent flooding in your home, you can install a battery-operated sump pump. You can also hook one up into your existing power supply. If you really want to be precautious, you can get both kinds. Floodwaters can knock out electrical power for days or weeks, so if you have a backup system or a generator you will be in good condition. You should have a knowledgeable electrician or plumber evaluate your system and recommend the best option for your home. To reduce damage in the event of a flood you should waterproof your basement. Waterproofing basically means that you need to secure your gutters, make sure that your storm drains are clear, and make sure that your property slope directs water away from the home. By installing a septic pump alarm, you will be aware of any flooding before it becomes a serious issue. If your septic system becomes flooded during a storm, do not flush your toilets until a professional has inspected it. If you do, your tanks could float free, rupture, and send sewage into your toilets, sinks, and tubs, making the problem severely worse. It is also important not to use your septic system during high waters or when it is raining very heavily. There are other important steps to help you protect your septic system, so talk to a professional if you have any concerns. In the event of a flood, you should be using your backup water supply. Never drink water from your well or even from city water systems until it has been properly tested and verified as safe. You should store five-gallon bottles of water, or get an advanced water filtration system if you live in an area that is prone to flooding. In many cases a flood happens quickly, leaving you with very little time to stop the flow of water. This is why it is important to practice a flood escape plan with your family and prepare an emergency kit. When water is rushing into your home, for whatever reason, you will need to get out safely and quickly contact a water damage restoration company. Your entire family should be warned of the dangers of a flood, from the point of the water entering to the house, to the risk of health problems due to bacteria in the water. If you are unsure of what to include in your flood emergency kit, or how to deal with an emergency situation, there are professional companies that can walk you through the process and help train you and your family. If you need help for a flood in your home, or if you want advice for how you can get proactive and safeguard your home, Flood Services Canada can help you. We deploy our quick-response teams across Toronto, Oakville, Ajax, Whitby, Georgina, Barrie, Mississauga, and Lakeshore to help homeowners in a tight situation. We’re ready to provide 24/7 sewage, water damage, and food cleanup services and will use the best techniques, personnel, and technology to ensure your home or business is clean, safe, and dry as soon as possible. Contact us at (416) 302-2107 to learn more about our water damage cleanup services, or use our emergency hotline at (416) 999-3930 to get our rapid-response teams deployed to your location.